Guess there is no perfect way to say what I am most thankful for this holiday season. 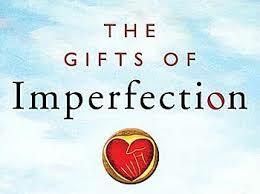 After much thought and review of a treasured book, my gratitude gold star goes to imperfection. The media often shares stories of how people have successfully turned around imperfect situations and numerous imperfections led to the discovery of DNA, penicillin, X-rays, and chocolate chip cookies to name a few examples. What I am referring to is more of an everyday approach to the flaws, goofs, and hiccups that occur for most of us that could be keeping us from from being joyful and happy right where we are. Today. Right now. I had fun during the summer at the Bowers Museum during one of its “first Sunday” cultural events. For $3 I delighted in coloring a rice paper sun umbrella with magical markers of every shade. The freeform pattern wasn’t perfect and the activity delighted me even more as I remembered a time when that would have bothered me. Imagine my reaction when it sustained a small tear from a little carelessness. I laughed and said now it was truly one of a kind. These examples may seem trite and unimportant in the overall scheme of things. However, our learning process has to start somewhere particularly in areas of ingrained patterns. Listening to my own thoughts and those of others, I believe it’s safe to say there’s a degree of “perfectionist” thinking in all of us. That’s why I’m toasting imperfection for Thanksgiving stuffing and all!